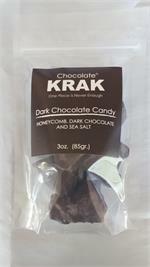 What is Chocolate Krak? 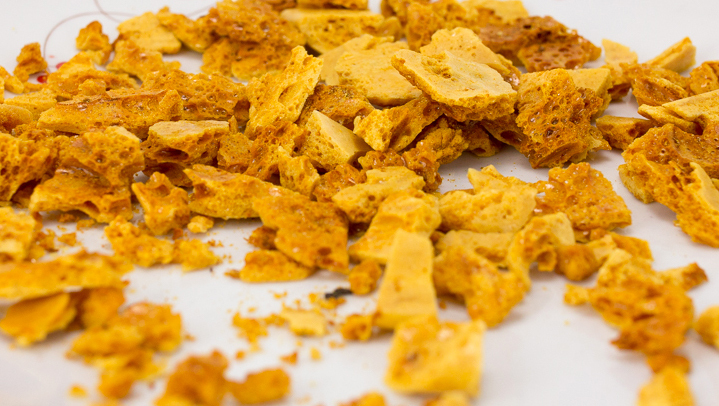 Chocolate Krak is a candy, often called honeycomb or seafoam, made by melting sugar, corn syrup , honey and baking soda together. It then foams up giving it the seafoam like texture. 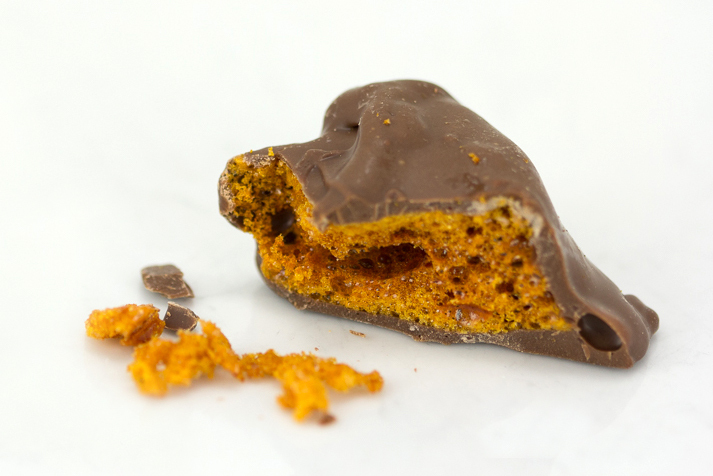 This honeycomb is then dipped in Fair Trade Certified Callebaut gourmet chocolate. The corn syrup used in this recipe is non-high frutose and is certified GMO Free. 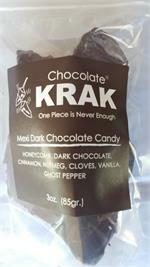 The Spicy Mexi Dark Chocolate Krak is made with a special blend of cinnamon, nutmeg, cloves, vanilla, and Ghost Pepper for a unique and irresistible spicy and sweet combination. Why is it called Krak? Candy makers all over the world use terminology to describe the stages of heating sugar and other sweeteners for various outcomes. They are: thread or jelly, soft ball, hard ball,crack , hard crack and caramel. Our candy is heated to the crack stage and once set has to be cracked into bite size pieces. It also makes a cool snap and crack sound when being broken up, sort of like rice crispy cereal. Why is the Mexi Krak harder than the original flavor? Adding the spice powdermix changes the chemical reaction of the baking soda, sugar/corn syrup mix so it doesn’taerate as much, giving it a slightly less soft texture. 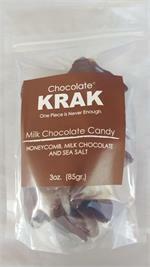 Can I freeze the Chocolate Krak candy? Absolutely! Freezing will keep the Krak fresh for a very long time. it can also be refrigerated for about 6 weeks. Just be sure to put in an air tight container when freezing or refrigerating to keep other flavors from contaminating the Krak. 6 ounce bag, Pacific Northwest Made. Freshness Guaranteed!